2PCS FRONT HOOD LIFT SUPPORTS Fits 1980-1987 Buick Electra etc. 1980-1987 Buick Electra Estate Wagon Wagon 4-Door Hood. 1980 Buick Electra Limited Coupe 2-Door Hood. 1982-1984 Buick Electra Limited Coupe 2-Door Hood. This is a used hood safety latch from a 1971 Buick LeSabre. Being sold as pictured. Stroke length; 6.79 in. compressed length; 9.8 in. extended length; 0.87 in. Type : Hood. Therefore all implied warranties that may apply to your part are limited to the duration of this written warranty. 2000-2005 Buick LeSabre. This Part Fits. Side Mirrors. We try and process order as quickly as possible. Brake Pads. Interchange Part NumberGM1230252. Manufacturer Part Number12709745. Off a 2000 Buick LeSabre. This part generally fits Buick vehicles and includes models such as LeSabre with the trims of Custom Sedan 4-Door, Limited Sedan 4-Door. The engine types may include 3.8L 3800CC 231Cu. V6 GAS OHV Naturally Aspirated. "Stabilus Lift Support --. Type : Trunk lid. Therefore all implied warranties that may apply to your part are limited to the duration of this written warranty. Each warranty gives you specific rights, and you may have other rights which vary from state to state. Qty (1) Stabilus SG130042 Front Hood Lift Support Strut Shock. Note: The vent only for decoration but not real air vent. Color: C arbon fiber look(not real c arbon fiber). 1 x Decoration air vent. Universal fit for most cars. Make your car looks more cool and distinctive. THIS LISTING IS FOR: THE SEAL AT THE TOP OF THE ENGINE BAY FIREWALL TO SEAL THE BACK OF THE HOOD. .
Trending at $33.47eBay determines this price through a machine learned model of the product's sale prices within the last 90 days. 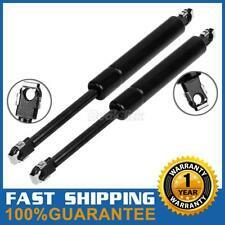 Qty (1) StrongArm 6582 Front Hood Lift Support Strut Shock Cylinder.